Life isn’t perfect; it wasn’t designed to be perfect. Life is real. It is real life lessons in love, joy, peace, hurt, loss and grief. We are afforded a wide range of experiences in our lifetime. Who is to say which ones are good and what is bad. Every experience is intended as an experience and a lesson. The question we need to ask ourselves, are we learning? Are we getting “it” whatever “it” is? Nothing in life is all good or all bad; no person is all good or all bad either. We are complicated people with a happy healthy side and sometimes we are not happy nor are we healthy and whole. No one gets through this life unscathed. We celebrate the birth of a new baby and we see 100% pure innocence. A new life that is fresh and clean and unharmed by life experiences. We see an old man and we listen to his stories of his youth and his loves and we try and imagine it. Our hearts could never have known what we could not see. The more we age, the older we get, the more tattered we become by life and from our life experiences. As parents we love and support our children, knowing there will come a day when they are no longer our children but their own adult. We aren’t designed or built to last forever; we aren’t designed to be perfect. We are meant to be real. Happiness like grief can come and can go; being content can be sustainable. Finding contentment wherever you are, whether it is in your happiness or in your grief can be the real trick. Knowing that whatever we are experiencing, this too shall pass. Nothing lasts forever, not us nor any of our relationships or experiences. Everything has a beginning, middle and an ending. It is the life cycle. We can’t waste this lifetime worrying about what we have no control over or what will happen when we are gone. The only thing that matters is to be present in this moment in time. This is all we have, this moment, this life that is not perfect but so very real. The Bible says about contentment, “Godliness with contentment is great gain.” (Timothy 6:6) our physical circumstances of poverty or riches does not necessarily reflect our contentment or discontentment with God nor should it with ourselves. Being content doesn’t mean we are giving way to growing and becoming more successful, it means we appreciate the process and know that we are where we are supposed to be for this moment in time. The challenge isn’t when we are standing at the top of the mountain but rather in the climbing to get there. The experience is in the climb not in the arrival. I am happy in my life right now but more than that I am content. I know that I am right where I am supposed to be, this is a stage and a phase and that it too shall pass. The good passes as does the grief. Nothing was meant to last forever. This should give us the incentive to get every little drop out of every single experience. Take it for what it is, a lesson and a moment in time, not perfect but real. “For we brought nothing into the world, and we take nothing out of it.” (Timothy 6:7) Nothing was meant to last forever, it was meant to be appreciated. We were meant to be appreciated and we should strive for contentment. Forget resolutions this year I am going with affirmations! Can anyone remember what “resolutions” they made last year? And I bet that if you do it is because you have the same ones lined up yet again for this year. Me, I am not doing them, not again, no resolutions this year! Nope! Nada not! Every year it is the same thing all the home shopping networks are selling gym equipment and all the weight loss places have a special “FREE this month” join us now ads. This probably after most of us packed it on during the holidays. Well I didn’t overindulge this year nor did I pack it on with that I will get to it later approaches to diet and good health. Then how long does it last before we are “off” of our plan and binge eating again? It seems like a push me pull me existence. I have affirmations! I already feel light and free and like there are endless possibilities and I won’t be limited or boxed in, like the sky is the limit and there are so many wonderful things I want to affirm … positive living = positive outcomes. I am never alone, the universe supports me. Bye bye to New Year’s resolutions and hello affirmations! It already feels so much better! Happy New Year 2016! It is going to be the best year ever! The cookies are baked and decorated; the trees are adorned with decorations and lit.Presents are in abundance and wrapped in pretty holiday papers and ready to be gifted. There is wine and whiskey and an abundance of food, music is playing and everything is pretty and laced with hope and love and peace. Last night it was a beautiful Candlelight Church Service with Lessons and Carols and a special dinner with friends that have long ago become family to me. A woman my mother’s age who became my other mother and her special needs daughter born the same year that I was born. We ate and we drank and we chatted the night away, it was a special evening sure to remain in the memory books. Tonight we are off for a romantic evening in “the sweetest place on earth” Hershey, Pennsylvania where we will take in the Christmas decorations and music and a special holiday dinner. Then we will proceed the next day to visit the gravesite of family members that have departed this life. Our hearts are full and are hearts are at peace and they are filled with joy and with so much love. We are grateful; so truly grateful for the life that we live and grateful for all the riches that have been afforded us these past 24 years in our home. We are reminded that the greatest gifts that we can give are love and peace and kindness and we know that is what we want for everyone this Christmas and all through the holiday season! For many people the New Year is about resolutions but a few years ago I gave up making “resolutions” for “affirmations” it even sounds more positive. This year we are for better health and even more happiness. You don’t get over it you get through it … it starts with just breathing. You learn to breathe again when you have been knocked over and kicked in the gut by an adult child that grows up and decides that the life you afforded them and gave them didn’t and doesn’t measure up. They decide alone that you are unworthy. This Christmas will be my eighteenth Christmas without my daughter, a daughter who is now gone longer than what I had her. This was a daughter who initially shattered my heart and my soul. And a daughter who re-created her past so that she could have a new and different life. Initially I couldn’t believe it or accept it, and I now so freely do. Not only do I accept it but I appreciate the gift and what it was; a blessing in disguise. I am no longer tethered to a past. A past life that was filled with hurt with loss and with abuse. I am free. Yet there was a time when I thought I couldn’t live without her. I learned that I can live and that I will live and that I can be happy and healthy and whole again. I gave her everything I had to give. I gave her more of a life and a better life than what my parents ever afforded me. And in the end I appreciated my parents more. There is a lesson here for parents that just give and give. There is no cure; you take one minute at a time, one day at a time and one month and one year at a time. You work through it, through the heartache and through the disappointment. You work through the grief and through the loss. You purge your pain. Then one day they are gone longer than what you had them. What you are left with is your memories and for me I have wonderful memories of a beautiful little girl who was bright and beautiful and the absolute love and joy of my life. I have no regrets. I played the hand that I was dealt and I did the best I could with what I had and what I knew at that time. Today my heart and my soul are at peace. She chose her life and I have mine. I am able to look at my friends and my peers who now have adult children and many are married and having children of their own. I absolutely love seeing those healthy loving and growing parent-child relationships. I am not soured as I am truly happy for them. I look on with love and a happy heart. I know that, that was not to be for me and it wasn’t going to be my lot in life. I have not only learned to accept it but to move past it. People tell me things about her and I have been sent photos of her and I don’t bite. I am not interested in anything related to her and yet there was a date and a time when I was desperate to know anything at all about her. Today I think and believe that if she wanted me to know about her life, she would not have estranged and gone out of her way to make sure that I am not included. I know my place. I got the memo and I heard her loud and clear. There is life after our children. I do not believe that my marriage would be as happy as it is with the continued drama that was represented in that relationship. She has declared it unhealthy and today I agree. Because of all the loss that she experienced as a small child I took it on that it was my job to fill those voids and in reality it was not. I was there. I was there 100% if not more. I tried my hardest and I did my best. The decision to estrange was solely her decision, I have learned to live with that decision and she too will have to live with her choices. Factually speaking she may be my daughter but the reality is that she has not been a daughter to me for eighteen years now. You can’t miss what you don’t have. I don’t miss her at all anymore. I have created a very full and very happy and a very loving life. This past year was one of the happiest years of my life! I had pure joy and much love. My new books Along The Way and Another Way have many articles, blogs and essays about my journey. It has been an amazing journey and just like any journey there is a beginning and middle and an ending. When it is over, it is over. I was married for more than 15 years before I legally changed my name, in part because when I was getting married she said, “then I will be the only Moyer left” her dad died when she was just two. I was always trying to fix things and make things better for her. As this year 2015 ends, I will begin the new year writing under my married name Sahm, Bernadette A. Sahm. 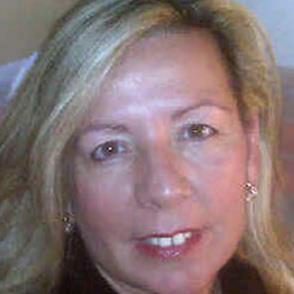 Bernadette A. Moyer has many writings that have addressed love, loss, death and estrangement. The new writings will be about love, happiness and beauty and hopefully even more inspiring and healthy. I have purged my pain, I have written much and I have helped many. My greatest hope in sharing my experiences and my life story is that anyone that is experiencing this kind of loss, please know that you are not alone, others have survived it and you will too! I am not saying it is or was easy but what I am sharing is that it is possible … you can be happy again and you can be happy after losing a child to estrangement. I have always had angels around me, my entire life I was aware of the spiritual powers that surround me. Angels are defined as ‘the messengers of God.” In order to receive them you must open both your heart and your mind. We hear stories about guardian angels, angels of protection during war and people that are helped by angels. We see angels in art, on cards, notes and décor. After my first husband died, within hours I felt a strong spiritual presence over my right shoulder. This was more almost 30 years ago; however I remember it so clearly. The message I received was, “you are not alone.” I was heavy hearted with a two year old daughter. My faith walk as an adult truly began at this time. I believe that God sent that angel with that message. Years ago I wrote a children’s book titled, Angel Stacey, Earth Angel to Guardian Angel. It was a tribute to our children’s parents and our previous spouses that passed on at such young ages. We raised our children to believe that although God had taken their parent pre-maturely, they may have left this life but that they were still there in Heaven. When my parents died, I knew they had returned home to God, to their maker. My sense was that my father had made his peace before leaving this earthly life. My dad knew his last days were coming and he took all the necessary steps to make peace with the people in his life that mattered most. Having faith is no doubt, the single greatest gift my parents gave to me. I live with less and less anxiety as I age. There are so many wonderful and beautiful angels; I personally have quite a collection in books, wall hangings, ornaments and more. As a collector, they make me happy. I choose to surround myself with angels and I am receptive to hearing their messages. I truly believe that if and when we are ready to receive our angels, they are there for us. And when we receive the messenger, that angel sent by God, then we truly hear the voice of God. They were too scared to peep! Was just right after all. But this warm cave and a stall.